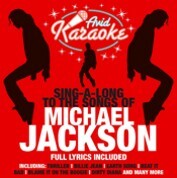 Karaoke market leaders AVID Entertainment have been a little quiet lately but we felt that we should pay our respects to the legendary and iconic King of Pop Michael Jackson with a thoughtful karaoke tribute to his sensational music. We follow Michaels career from the early days of the Jackson 5 through to the Jacksons and on to the solo years selecting key tracks from great singles to the classic albums including Off The Wall, Thriller, Bad, Dangerous and History. We have listed the tracks chronologically and it has produced an amazingly consistent mix of dance tracks followed by some of Michaels wonderful ballads. It is a reminder that beyond all the hype he was truly a great songwriter, singer and performer. Sing- a - long and remember Michael Jackson as we are sure he would want to be remembered as one of the great pop artists of the 20th century!